SAN DIEGO – Jan. 6, 2014 – Northrop Grumman Corporation (NYSE:NOC) and the U.S. Navy have completed nine initial flight tests of the Triton unmanned aircraft system (UAS), marking the half-way point in a process called envelope expansion. During envelope expansion, the test team validates the aircraft's ability to operate at a range of altitudes, speeds and weights. The flights are taking place at the company's manufacturing facility in Palmdale, Calif.
"Completion of envelope expansion will allow the test team to prepare for installation and further testing of Triton's surveillance sensors," said Mike Mackey, Northrop Grumman's Triton program director. The Triton test team accomplished endurance flights up to 9.4-hours at altitudes up to 50,000 feet. The aircraft also performed doublets, a maneuver that tests the aircraft's ability to recover from small perturbations in its flight path caused by turbulence. 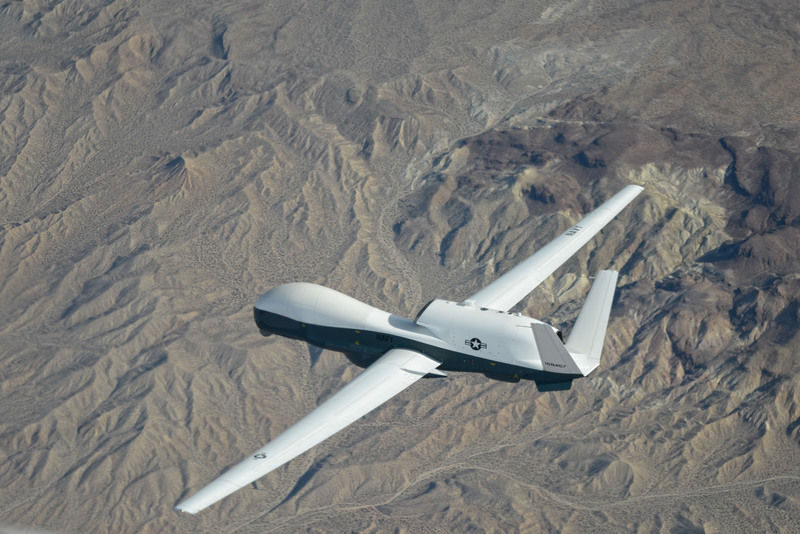 Triton carries a variety of intelligence, surveillance and reconnaissance sensor payloads that allow military commanders to gather high-resolution imagery, use radar to detect targets, and provide airborne communications and information-sharing capabilities to military units across long distances. The Navy plans to field 68 Triton UAS and will be used with the manned P-8 Poseidon maritime patrol aircraft to conduct surveillance missions. Triton completed its first flight May 22.